Welcome to the 13th episode of The Drone Trainer Podcast! Sorry about the absence last week, but we were definitely preoccupied with the birth of our son and didn’t get to the podcast. Anyway, I’m back and today I have Guilherme Goinhas, a drone operator based in Portugal, who is flying the Flyability Elios system doing indoor drone inspections. Oh yeah, want to subscribe so that you don’t miss an episode! Guilherme is one of the very few operators that I’ve spoken with that is conducting indoor industrial inspections with the Flyability Elios drone system. I remember seeing the Elios on a few videos online, however it was great to hear from someone that is actually using this unique drone for a commercial purpose. 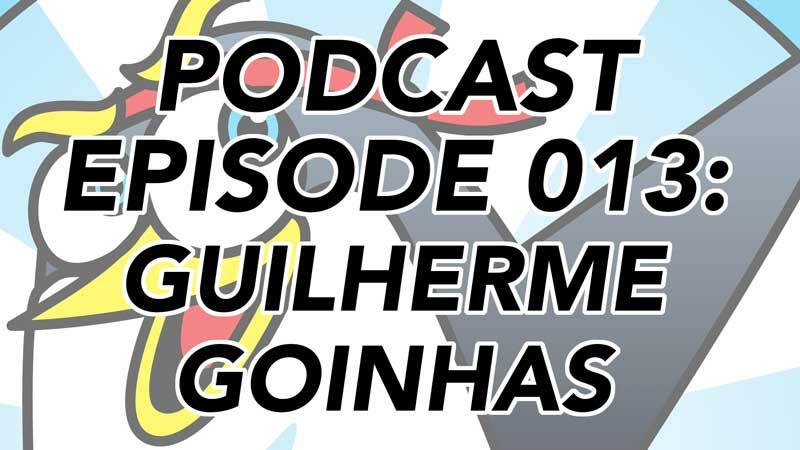 Listen in as Guilherme talks about the benefits, and wishes that he has for the Flyability Elios drone, and how he is using it for internal inspections. Guilherme also goes into detail about how he charges for his services based on the type of job, risks associated, and the traditional inspection methods that they’re replacing. Check our Guilherme’s work and follow him on social media! 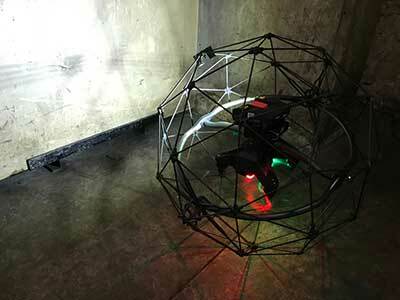 Flyability Elios – The very unique drone that Guilherme is flying. All we ask is for you to leave an honest review on iTunes. Your ratings and reviews really help the show to be discovered by others, bring on more guests, and the best part is that we read each and every one. Ok, one more ask, be sure to subscribe on iTunes so that you don’t miss any episodes! Thanks again for listening, and talk to you next week! Very interesting podcast and good overlook of what Elios can do. Thanks for your interest in our technology. You mention that everyone has seen a picture of an Elios, however, Guilherme is one of the very lucky people who has put his hands on this drone. We are working on putting in place demo days and training events around the world to address this point. I have a question for you and the people who listen to your podcasts. Where would you expect to see Elios and be able to test it? By the way, I hope to meet you very soon at one of the trade shows we will attend this year (https://www.linkedin.com/feed/update/urn:li:activity:6369936687715352576). Thank you for your comment! I’m based in Canada, however am considering travel to the USA for at least one of the major drone shows/conferences. I haven’t decided on which one yet though. Do you have any plans to exhibit at any of the American shows this year? We go to Xponential, Commercial UAV Expo, and Interdrone this year. We also attend several vertical trade shows and events. I’ll also let you know if we organize some demo days nearby your place. We have a partners in Canada who is specializing in the inspection of underground mines. Hi Marc, thanks for your reply! I’ll surely let you know if I can make it to any of those, and would appreciate the heads up on demos here in Canada!